Donaldson is inducted into the International Jazz Hall of Fame and was awarded an honorary Doctorate of Letters by North Carolina A&T University for his outstanding contributions to jazz. 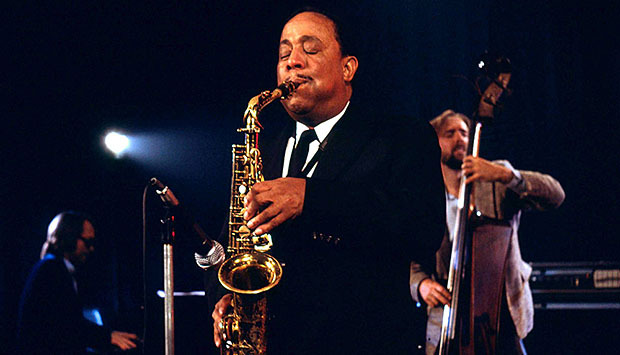 The legendary 'Sweet Poppa Lou' Donaldson is one of the greatest alto saxophonists of all time. Now past the 85-year mark, Lou continues to play at his very best, entertaining audiences worldwide with his spirited performances that are always soulful, thoroughly swinging, and steeped in the blues. In the 50s he made a string of excellent records for Blue Note with many musicians who made their first records as sidemen for Donaldson: Horace Silver, Clifford Brown, Grant Green, Blue Mitchell, Donald Byrd, Horace Parlan, and others.